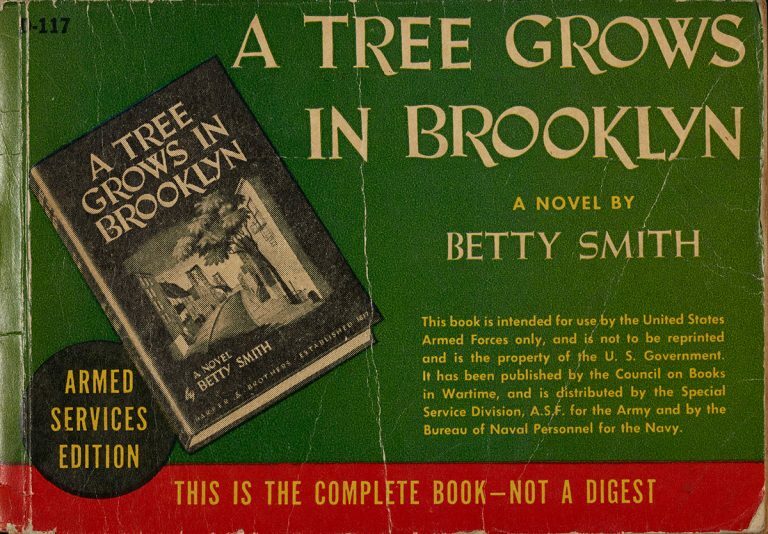 An Armed Services Edition of A Tree Grows in Brooklyn by Betty Smith (1943). 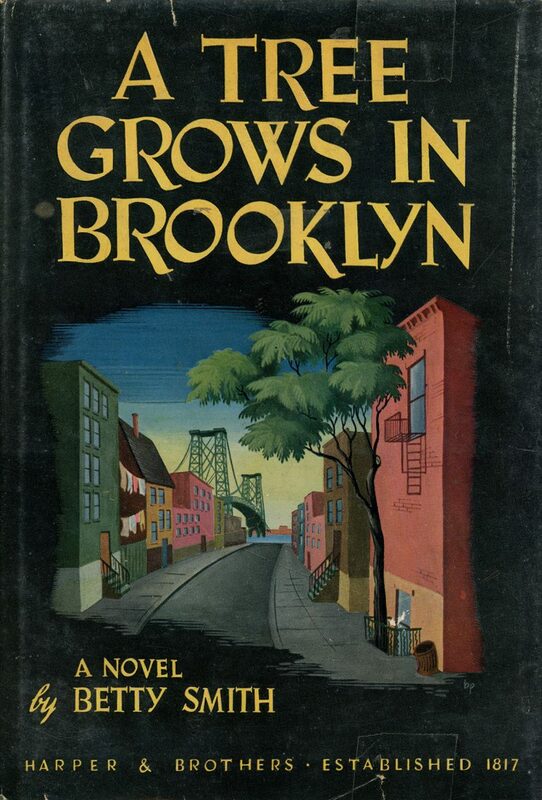 Betty Smith’s A Tree Grows in Brooklyn (1943), a story about growing up poor in turn-of-the-century Brooklyn, was originally an entry for a Harper & Brothers memoir contest. 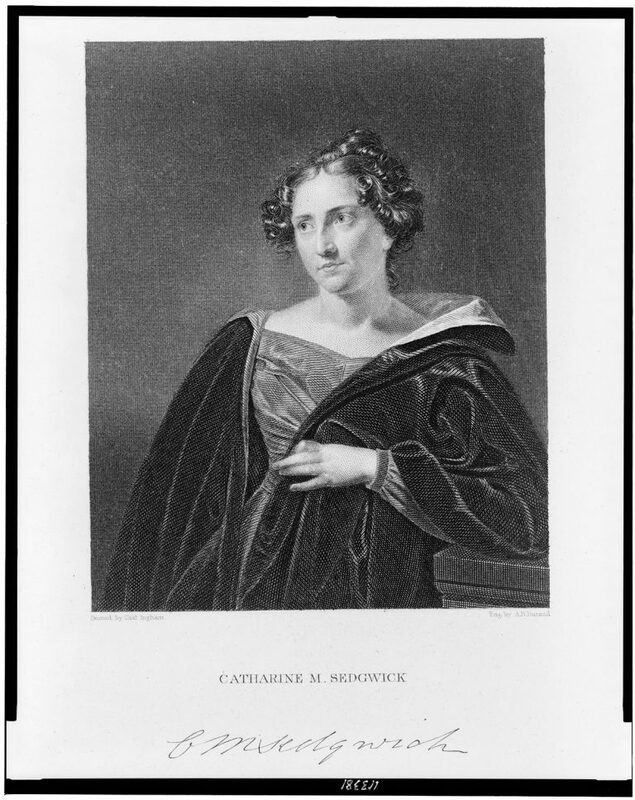 Editor Elizabeth Lawrence, however, quickly recognized that the manuscript would work better as a novel. 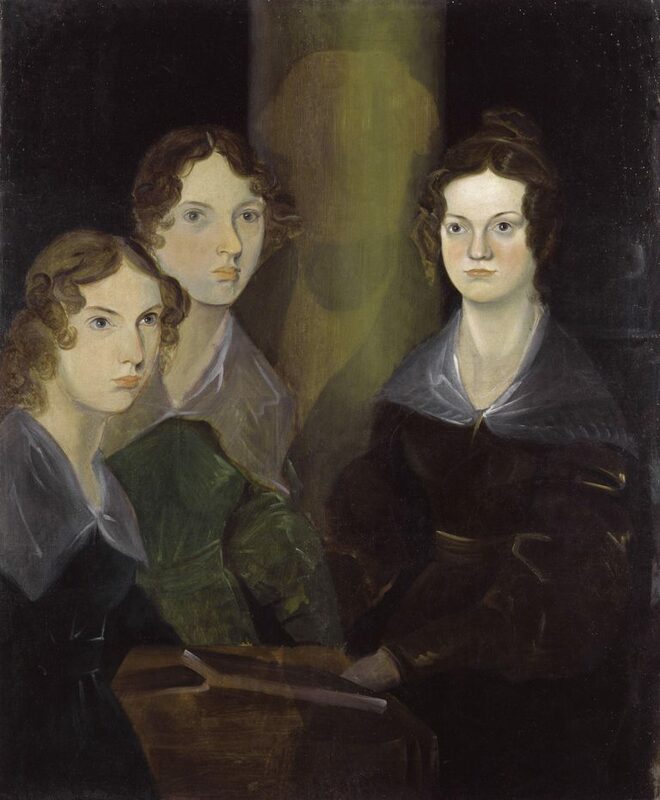 With guidance from her editors, Smith reshaped the narrative and created a third act that followed the protagonist into young adulthood. 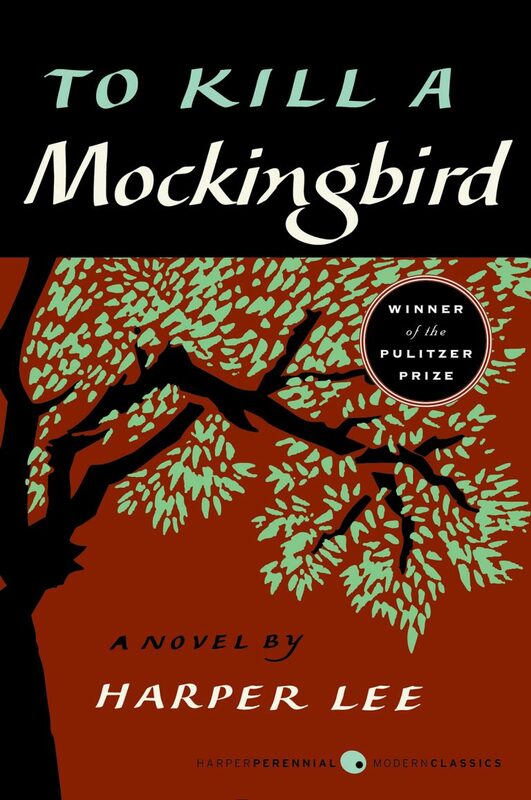 The broader appeal of the story helped it become one of the most iconic coming-of-age tales in the English language. 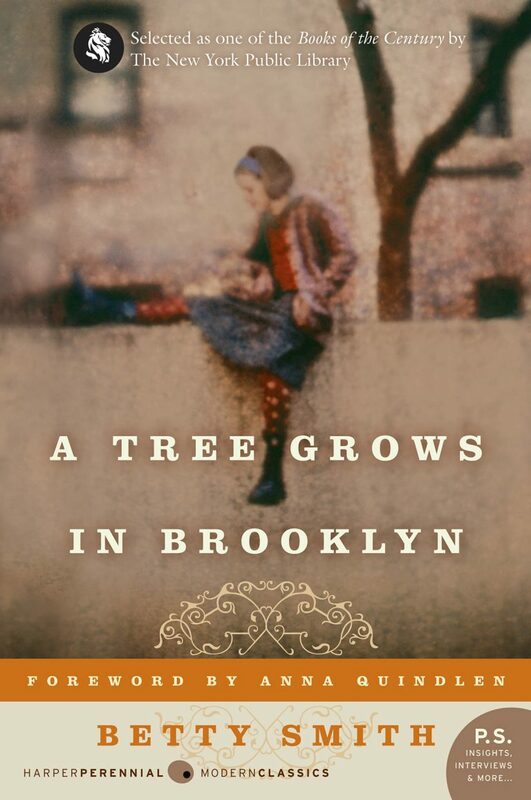 A Tree Grows in Brooklyn shone a light on first- and second-generation Americans living in poverty, and is an example of the rise of immigrant and minority voices during the 1940s and ’50s that stirred the dialogue on assimilation, poverty, and racism. The novel proved so popular that special Armed Services paperback editions were printed for servicemen stationed overseas during World War II. Smith once estimated that she received four letters a day from GIs who thanked her for reminding them of home and giving them a reason to keep fighting.